After a busy week and several late nights proofreading all 56 pages and 34,000 words, our brand new June 2017 Portfolio is finally here! Containing overviews of the Champagne brands we list, with background history on each House and detailed information on the cuvées they produce, this is a must-have for any Champagne fanatic. 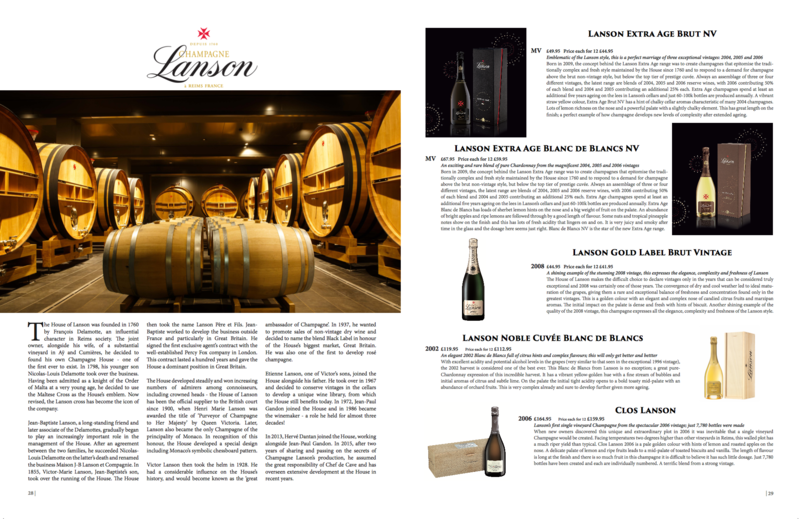 Each brand has its own product page(s), with tasting notes and pricing included for the champagnes listed. This revised edition also includes many interesting articles on all things Champagne, from how it is produced, to a comparison of bottles vs magnums, to an overview of Grand and Premier Cru vineyards and a forward-looking piece on what to expect from the future vintages of the region. 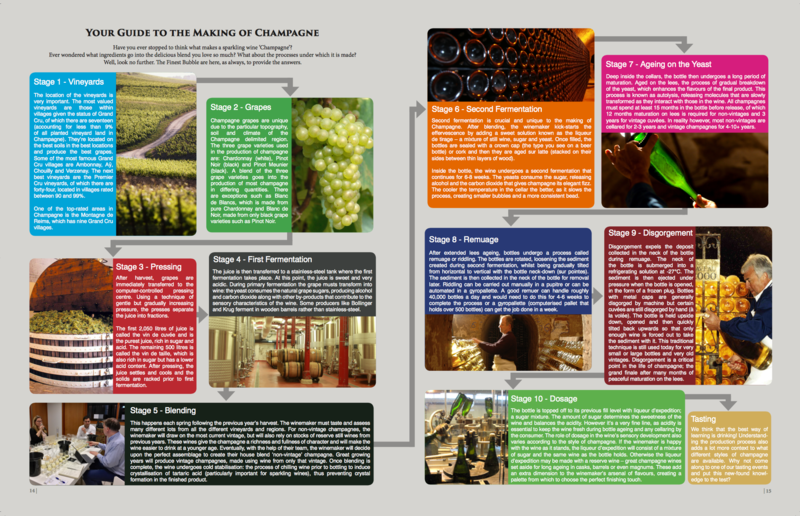 There are also many great gifting ideas and information on unique limited edition Champagne collections. 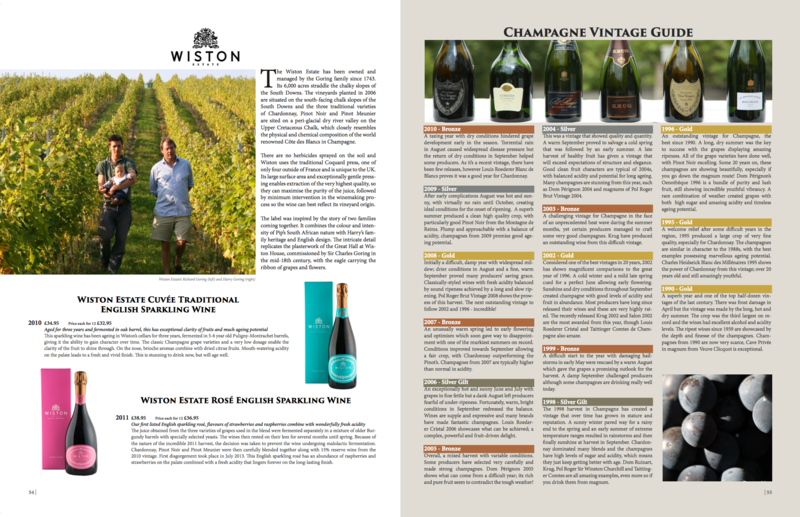 We have also included pages on our small range of English Sparkling Wines. Request a printed copy to be sent to you here. “As our third birthday approaches in September 2017, it is worth reflecting over the considerable changes we have undergone in this time. When we began in 2014, we started o ering same-day London delivery and quickly discovered that consumers wanted more. Thus, the beginning of 2017 marked a milestone, with The Finest Bubble offering same-day delivery to the majority of London within two hours. 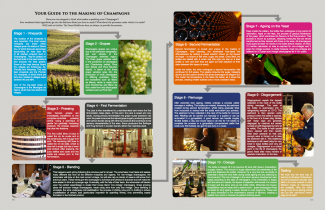 Our partnerships with a handful of great delivery companies facilitate the transport of our range of 250+ champagnes to where they are needed, cost effectively and in perfect condition. 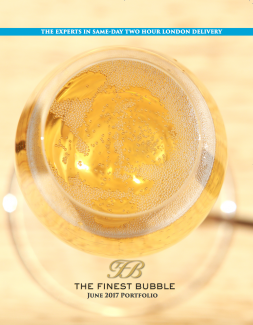 During 2016 and 2017, we have continued to source more champagnes, seeking out those that offer value amongst their competitive set and have extended our range accordingly. Our Prestige Cuvées from 2002 Champagne Tasting event with Jancis Robinson MW in October 2016 proved a huge success. Blind tasting fifteen prestige champagnes from this unparalleled vintage was a unique, once-in-a-lifetime experience that offered invaluable insight into their complex development. There is a full review on Page 42. Our visit to Champagne with Essi Avellan MW in March 2017 was also a triumph. A busy itinerary including Vins Clairs tastings with winemakers at eleven Champagne Houses in two and a half days, led to a whirlwind discovery of the difficulties and merits of the 2016 vintage. A tough growing season is producing surprisingly balanced wines; detailed write-ups can be found under the ‘News’ section of the website. 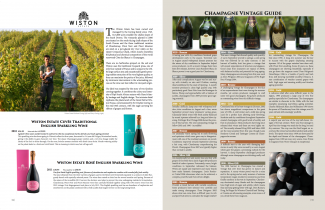 We have introduced many more articles in our 2017 Portfolio and have added some forward-looking information on the vintages that are just starting to emerge on the market and those that will start to arrive over the next few years. Much has been written about the impressive 2008 vintage and it is beginning to look as though it could develop to be as incredible as the legendary 2002. The 2009 vintage is already a great early-drinking year and although a few years away, 2012 is surely one to watch for high quality champagnes.